You have decided it is time to remove that your old carpeting in your home, business or apartment complex and replace it with new carpeting or another type of flooring. You've picked out your new flooring and set an appointment for that new flooring to be installed. Now you have to get rid of that old carpeting and pad before the new flooring arrives. Removing that old carpeting can be a difficult and time consuming job, and the more carpeting you have to remove the more work that is involved since that old carpeting needs to be cut into certain sized pieces rolled and bag all before you can dispose of them. While some of that carpeting may be completely worn or in poor condition, other carpeting and carpeting fibers may still be worth recycling, which why smart consumers hire a junk removal company that is willing to recycle any of the carpeting that is still recyclable. Flat Rate Junk Removal is just such a company. All it takes is just one phone call to our company to arrange a date and time that is convenient to you for us to come and remove that old carpeting. We will do all of the work removing the carpeting and carpet pad from the floor cutting it into the correct portions, rolling, bagging and removing it to our truck. We will even clean up the area where the carpet was so it ready for new flooring all without you lifting a finger. 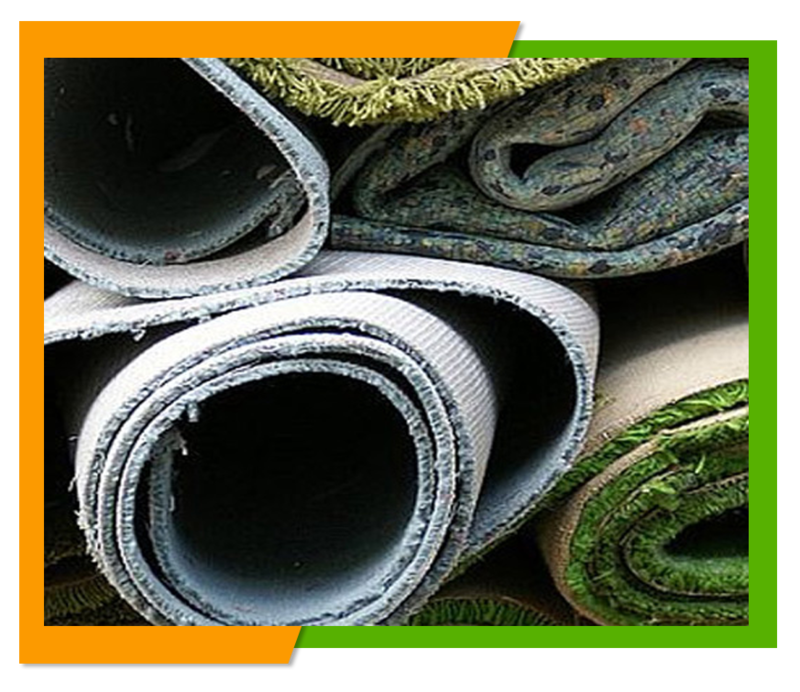 We will take any carpeting that is recyclable to the recycling center at no additional cost to you. Recycling as much of that carpeting as we can is good for the environment and keeps waste out of the landfill. No matter how large or how small you have we charge one simple flat rate, which makes us the ideal company to remove that carpeting in commercial businesses that may have more feet of carpeting than the average home. We can remove that carpeting from that long hallway, a number of apartments, or that large banquet room. Whatever the job we can get that carpet removed for you. If you want to know upfront how much that carpet removal will cost, why not give us a call and we will send someone out to look over the job and give you a free estimate for the cost of our services. We provide all of our customers with a number of junk removal services all at reasonable prices. To learn more about various junk removal services browse our website right here at www.flatrate-junkremoval.com or you can speak to our online representative and ask any questions you may have regarding any or all of our junk removal services. To schedule a free estimate or a carpet removal just give us a call at 1-800-299-5865 and we will be happy to be of service to you.